Blogging is great fun. It’s exciting. You start out with great ideas, full of motivation and inspiration. After a while, though, you run out of steam. The muse isn’t so amused any more and you start hunting for content, things to write about. There are two aspects of finding content for your blog. First, it is to find the inspiration that generates original content on your blog. This can come from a variety of sources. Basically, it can be a news story, fellow blogger’s post, an interesting web page you stumbled across, something a friend said, or anything that interests you enough to research and write about it. The second aspect is to find links. A lot of bloggers seem to specialize in finding interesting content and providing a link and maybe a few words to recommend to their readers that they check out the original content on someone else’s blog or site. While this isn’t so much about finding original content for your blog, it is about finding information and resources that is helpful to your readers. Either way, when the well runs dry, where do you go to find more content to keep the river of babble flowing on your blog? I’ve put together a huge list of content resources for you to peruse and investigate for possible blog content. It certainly isn’t a list of all the content, resources, and information out there, but it is designed to get you thinking about all the content, resources, and information out there for you to blog about. And there is a lot out there. If I have missed a favorite resource of yours, please add it below in the comments. I love looking up new avenues of inspiration. The news is probably one of the most popular resources for stories. Many people monitor CNN or Yahoo News to keep up with what is going on around the world or in your backyard. While the “top 10 news stories” may be intriguing for some, there is a lot of news out there to digest and dig through, finding potential stories. I’ve collected a few interesting and more unusual places to find news, often news that doesn’t make the main headlines, to help you start thinking about where and how you find news to write about on your blog. If you are blogging about a specific subject or industry, monitor the news stories coming out of that industry. There are many industries to choose from, and they are not always all encompassing. For example, if you are interested in the blogging industry, not all the information on blogging might be of interest to you. You might only be interested in bloggers blogging in Japan or China, not the whole world. So your need for news resources covers a very wide industry but narrows to a specific focus. The following is a general example of some industry news and resources available online. For a specific industry, hit the search engines for your industry keywords. Whatever your blogging topic, the odds are that there are one or more industries which support it. So search far and wide to find good resources for your blog stories. Tags and social bookmarking services are similar but different. Social bookmarking actually is the term that refers to users recommending which topics are most popular with them. This is done through votes and by tags. A site or software tool that collects and stores your recommended or “bookmarked” sites is called a Social Bookmarking Manager. Some Social Bookmarking Managers are private, but the ones that will usually serve you better are the public ones, which show the world what you think is important information, and asks others to “vote” for your recommendations as you vote on theirs, and the winners rise to the top. Tags are mini-categories for blog content, tagged by the blog owner or visitor. Used in combination with social bookmarking, you can search through tag services for the most popular posts within a specific tag category based upon traffic, voting, or other recommendations. Tags and social bookmarking help Internet users talk to each other, sharing favorite posts and articles. They also help let you, the blogger, get a feel for what topics are popular at the moment. 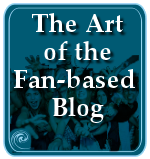 If it is popular enough, you may want to blog about it. By monitoring these “most popular” lists, whether by overall category or tags specific to your interests, you can keep a finger on the pulse of public opinion. There are many lists online that list the “most popular” websites, blogs, topics, news, products, services, and more. By monitoring these sites, you can stay on top of what is attracting the most attention. Most popular lists are based upon a variety of criteria. For a few, it is just what is most popular to them, the individual or group, as they see it, often with their own criteria. For most “most popular lists”, though, popularity is solely based upon measurable data such as actual purchases or highest visitor traffic. For high traffic sites or blogs, there is a lot to learn as well as be inspired by. What are they talking about? How are they talking about the subjects? Where are they getting their information and resources? Should you be following their lead? Use high traffic and most popular sites and blogs as resources for possible content and ideas. If you don’t see a specific “most popular” topic of interest to you, in a search engine type in “most popular” with a keyword for your interest, like WordPress, and the search results will include the most popular WordPress Themes, plugins, tips, techniques, blogs, and other WordPress related most popular items. From here, you can find sites to monitor for the “most popular” topics for your blog. Another method of finding content is to find out what people are searching for. Search engines and other search engine monitoring resources are always keeping an eye on what topics are most popular by counting up the top search keywords and phrases. There are several different types of reports for tracking top search results. Old style but useful lists include top search keywords and phrases from seardh engines. More modern style top search results show you live, as-it-happens search action, which may or may not reflect the most popular searches but shows you what people are searching for in the moment. Which ever method attracts you, there is a lot of information and inspiration that can be gleaned. There is so much being written on the web, it can be overwhelming. Yet, one of the most important ways of finding something to write about is to find out what other people are writing about. This goes beyond news or most popular stories. It is the monitoring and reading of what other people are writing about to help inspire you to write. Inspiration comes in many ways from reading. It begins by reading about what people are writing about in your industry. If they wrote it wonderfully, then you can cite them on your blog with a comment or two to encourage your readers to visit their site and read the article. If you want to talk about what they wrote, you can cite their post and include a blockquote or two from the article, and then say what you want to say. If you like what they wrote, but you think you can write it better, use their article as inspiration to write your own. Reading what other people also write helps you to keep up with what is going on around you, the trends and the news. You never know where a bit of inspiration will come from, so keep your mind open to all possiblities. 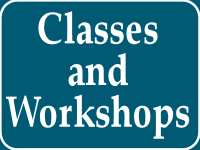 The following includes a wide range of resources for finding articles and archived articles. I’ve also included a list of some aggregators, sites that display content from other sites to help you keep track of what is going on through blog feeds. Some of these you can personalize and customize, while others are just lists to read through. There are times when the most popular, highest traffic, or top stories just don’t give you the material you need for creative composition, or you need more collaborating evidence and research for the topic you are working on. That’s when you turn to searching. Sometimes just putting in a few words that sum up your industry or a topic that interests you can bring up interesting story angles and perspectives that you haven’t thought of before. Sometimes, just typing in a word and hitting the “Surprise Me” button that some search engines have will take you to new places you never thought to look before. Either way, search engines offer tremendous information, resources, and inspiration if you just start looking. Everyone has their favorite search engines, but this list also includes a variety of search services that might get you more specialized results on your topic. Among these more specialized searches, you can also search just blogs, feeds, or specific topics. Sometimes you want to be the first blogger on your block to cover a particular story. Then there are times when everyone else has covered the story but you want to know what has happened to the story now, after the news has turned their headlights away. There are also times when the headline news doesn’t tell the whole story and you want to tell more. This is when it is time to start tracking the story beyond the headline news. While there are a variety of sites that track stories and news, there are three methods for story tracking services and sites. First, there are sites whose goal is to simply to list blog or site content or press releases from subscribers or whatever resources they monitor. They are glorified information lists. Some showcase odds and ends, while others specialize in a specific industry. These work well for general interest subjects you are researching or investigating. The second method is known as “website trackers”, software, online services, or utlities that will notify you if there has been a change in a specific website or blog. If a new post is published, you get an alert via your browser, email, or when you visit the website tracking page, showing you which blogs or sites have new content. The third method is to use search engines and feed services as well as tagging and social bookmarking services to track stories. Search the story subject, title, or keywords to generate potential sources. Check these to see if they allow you to create a feed from your search results so you can track the story. See the lists above for those services. Whatever reason you want to track stories, I’ve put together a list that includes both groups. Google Groups – What Are They Saying? There comes a time when you just need the facts. Or, you stumble upon some facts that so amaze you, you want to check them out so you can write about them. There are so many facts and statistics out there, I couldn’t possibly list them all, but here are some of the more popular resources for facts and figures for the US and World. Whether you blog about the Internet, the web, or blogging, you are still working within the Internet industry by being a blogger. No matter what your blog topic is, it helps to understand your Internet audience, where they are coming from, how they blog, and how they search. 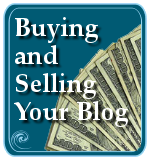 If you have advertising on your blog, then it is important to understand what is going on in the blog business in order to help you blog better and make more money. 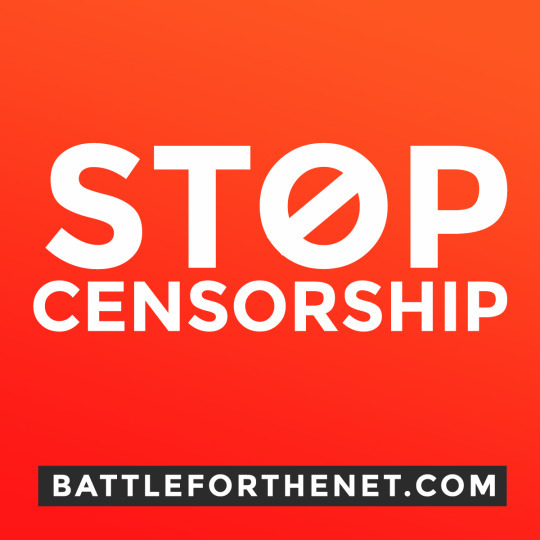 It also helps to keep an eye on the top web hosts and traffic in general so you know what is going on around you in the Internet world. By watching which blogs or websites are top of the charts for traffic, you can pretty much guage which topics are popular with most Internet users. Here are some resources for lists of the most popular websites and blogs online, as well as tracking web trends and traffic. TalkDigger – Who is Blogging About You? So what are some news or resources you monitor frequently to find stories and content for your blog that I have missed? Wanna share? This entry was written by Lorelle VanFossen and posted on January 23, 2006 at 6:41 am and filed under Blog Babble, Blogging, Web Wise, Writing with tags how to use wordpress, wordpress help, WordPress Tips, wordpress tutorials. Bookmark the permalink. Follow any comments here with the RSS feed for this post. Post a comment or leave a trackback: Trackback URL. Wow! What an exhaustive list! Wow! What a reference tool! Some of these resources are out-dated but they should point you in the general direction. Thank you and good luck with your project and students. I have had to add it to del.icio.us even though that took me 15 minutes to get del.icio.us to load up. Wow. 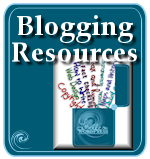 This is a great resource to online bloggers. While some of it seems so exhaustive, it gives blog viewers the chance to pick and pull what they like for their own interests. Keep up the good work. I might make one suggestion and that is to get a Subscription Box where people can sign up with an email and be alerted everytime you update? Bloget.com i think is good. Thanks to everyone for your nice comments, and please add more resources if you think they apply. Fantastic list! Very comprehensive and helpful. Thanks Lorelle! Lorelle, I’m bowing to you through my computer monitor. 🙂 Thank you SO MUCH for taking the time to put together those links lists. Well done! WOW !! An Amazing and very exhaustive list, definately a keeper. Thanks for all the hard work Lorelle. Now it’s upto people to reap the benefit they have been presented with. What an overly exhaustive list. I’m tired just reading over it. (LOL) Currently for my blogs I look over material from similar blogs at both Technorati and Google Blog Search as well as look at Google and Yahoo news items. Since the time I originally posted this in 2006 many things have happened in both my personal and professional life. One was the hi-jacking of the blog that my original post was linked to. Unfortunately blogsmart-resources.com now sits in domain limbo as no one picked it up after it expired. Someone stole it from me only to let it go. Although I don’t believe in karma per se this surely suggests that karma was working in this instance. Sorry about that, but I do hope you are moving forward with your life. Thanks. Holy cow! What a huge pile of great links! You’ve made my day. Thanks, Lorelle – I’ll certainly have fun picking through this! This is a good list of resources. You covered a lot in this blog. Thanks for mentioning InfoMinder. 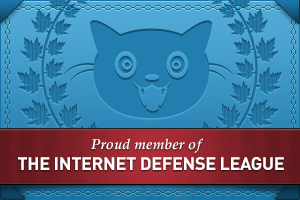 I use it to track about 400 pages (like xmlhack, rdf planet, techcrunch, ehub and many of my favorite blogs. This in addition to digg.dot.us gives me more than enough information to blog. WOW. This is incredible. Consider yourself linked. This is an amazing post. I started a blog solely because I have so much to say (got tired of telling it one-on-one! ), that I was curious to see what would be offered. For you to do such work –such quality, depth is not common. –But for no pay??? (lol). After nearly a year I haven’t even come close to ‘running dry’ but I’ll bookmark anyway. Quibble & bit: I do wish you hadn’t listed “Medline” –that is no help to Having health, but a continuation of what’s wrong with medicine as practiced in the West…. There is an important source missing, for which I will contact you. Thank you for remarkable post. now ‘blogger’s block’ will be meaning less..
BTW – Your Blog looks teh awsomes. CSS upgrade? This is great stuff. cool tips to get good content for blog. thank you. Lets not forget you can always purchase content if you can’t think of anything or don’t have time to write it yourself. I think you need a section for this… please like constant-content.com, and hiring a writer. WOW…Great list. I’ve used some but not all of the resources before. Many of the site you have listed I never knew existed. Keep up the good work. Thank you for sharing this information. This is really good for me since I am still thinking on what to post on my blog. This is an excellent page. THANKS!! It’s my first experience with such a great list. Thanks a lot for spending your valuable time for writing this useful article! It’s just awesome!! Thanks a lot. Fantastic collection. It shows your hard work. Would you like a link exchange? As a general rule, I do not “do” link exchanges. They don’t work and they are a pain to maintain. Still, thanks for the offer and glad my articles can help. oh this is what i am looking for from last few days. Before reading this post I was struggling to post a Good Blog.I strongly believe this post will make me As a reasonable good Blogger. I would suggest them to read this! Everything was okay ! But you didnt gave any stuff’s regarding How to share a personal memories? It remains unanswered. I do not think this post will make you a good blogger. I believe it will give you resources to find things to blog about within your blogging industry or topic. It’s a spring board to help you find news and ideas. What you do with it will make you a good blogger. As for help writing personal memories and stories, the inspiration and sources are in your head, not outside. If you need help releasing your inner voices to tell your stories, then seek out memoir writing, biographical writing, and other “how to write” sources. Good luck. WOW that really is a great list of resources, thanks for the time and effort that must have went in to creating the list. Wow! What an incredible job you did! I am at a cafe right now and I meant to go home a couple of hours ago, but I couldn’t tear myself away from your list…ha. Thanks so much for such a wealth of info. 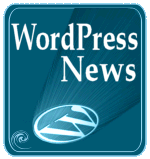 Recently, I started a beginning WordPress blog because my blogspot blog is lacking some important features. I will look forward to reading more of the helpful information on this site. Thanks for the excellent list of resources. I have just discovered another one which you might consider adding to your list. I have no connections with the site but it does seem to me to be very good, up-to-date and fast – http://www.congoo.com. Hi, i just discovered this site: very usefull! definitely a Must-read :). Thanks. I really got to say this. Thanks for this wonderful resources. Cool … and really a great post worth linking to..
Wa..great information and a lot of hard work added. Wonderfully ! Keep it up. Natually this is a bloggers,goldmine for ideas to blog about, and tips for researching out good content to use in there blogs. A bloggers Gift for Gabbing! Indeed, as I discussed in When Your Comment Inspires Posts. Please see the WordPress FAQ for tips on how to do this. I remember when I was a bit more of an active blogger last year how many RSS feeds I used to follow. Being able to find unique news-breaking stories was really key to getting your site to the top. After a while I had found a number of unique sources that brought me regular stories top post about that would always attract new readers and links. Wow.I have found a guide what i am looking for. Great post!.Thank you very much! 🙂 Thanks for this wonderful resource.. I’m recommending this to my readers as well.. Thank you very much Lorelle. I’ve been looking for good resources to get statistics from on various subjects. So glad you included a section just for those sites. I’ve read this and found it very interesting and inviting. I’m just a starter in blogging and I chose wordpress on one of my friends recommendation. I feel that I’m also getting into the habit of blogging now-a-days. Trying to write something of some interest to anybody, trying out ways to increase traffic to my website and other stuff. I guess I’ll make use of any of your ideas to turn my blog into a successful one as well. And by the way if you find time, just visit my blog n can comment on it. A link to the post, and the Google or Bablefish machine translation isn’t great, but that is all I’m allowing at present, besides a small excerpt. Thank you, and hugs back for caring that much you will protect my rights as an author as I protect yours. Excellent list and a LOT of work! Very helpful. I am just blown away by all this info – it seems so overwhelming, probably because I am really new to blogging! Thank you for putting something like these resource tips together- I will wade my way through some of these ideas and let you know how I go. Or more to the point, I’m sure you guys will let me know how I go! Wow, this is an incredible list!! You obviously spent a great deal of time researching the information, and your readers thank you – and this is why we come back again and again! Wonder ful. this is the list which will really helps to the webmasters those who need helps. Thanks for posting these things. The leading provider of recruitment process outsourcing services. Send it out? I don’t understand. It’s your list. Keep it. By publishing it on the web you are already sharing it. Either way, I’m glad you have your list. Thousands of bloggers have their lists, too. It might be nice to have someone compile a big list of all the lists of resources for content building. A list of the lists – not a compilation of everyone’s content but a recommendation to go visit all the sites with such lists. Go for it. You have a great contents and I love it, but I am looking for traveling contents, could share it too? Traveling contents? As in resources for finding information on travel to write about on your blog? There are so many different travel resources online – get them all into your feeder and make use of the news and content they produce. Track your industry. That’s the key. thnx alot dude… it helped me alot! thnx! Thanks for making this post and i was glad to join to some of this links you posted above and i will be happy to read your other posts. Welcome to the world of blogging. You have an uphill challenge starting on blogspot. I sure wish it didn’t have such a bad reputation. Too many people (and spam filters) make a very right assumption that if you are using blogspot, you’re a splog. I spent a lot of my time going through comments vetting any blogspot blogger who comments, including you, before I will allow their comment. A majority of the time, the work is worth it as they are sploggers. Good luck and I hope that you can overcome the stigma with your blog. thank you!!! this is what i’m looking for! OMG Lorelle, I had never thought I have to read all this to become a blogger… just joking 🙂 . Its the most exhaustive list I have ever seen. Infact I am new to blogging so this looks awesome to me. I had started couple of time with blogging but stopped after some months. But this time I am determined to stay with it, and I really tell you this post will help me immensely. Great work, keep up the good work. Astounding article Mr Lorelle. Very exhaustive. Thanks a lot. I stumbled on this post through google search.Continue it. It is really usefull post, thank you very much for this great list, i am new in blogging and this post is very halpfull for me, i bookmarked it. Folks will probably read this article in 2012!!! I can’t believe what a wonderful resources are collected here. These are really very helpful for someone who love bloging. Thanks for the information. Today is my second day in the blog-world and I want to learn how to create an awesome blog; these resources with help me tremendously. Lorenzo Wallace signing out for now. Wow –what a list of information. There is so much useful information that I need to take a break and come back later to finish reading/reviewing them. Definitely a bookmarked page to revisit time and time again. Visit http://www.Jowki.co.uk, the ALL NEW TECH blog created and ran by a 15 year old with MAJOR tech knowledge. This is simply something NOT to be missed. Where do you get content for your blog with pictures? You write it yourself and you take your own pictures. Honestly, that is the CORRECT answer. The rest is of the answer – the one that you want – is to pay someone to either blog for you or buy content from other places. There are also some places which will allow you to use their content for free, but you MUST ask for permission. See What Do You Do When Someone Steals Your Content for information on the repercussions of using someone else’s content without permission. ALWAYS ask first. Looks like i will never get out of ideas. One thing I just thought of: It’s no fun writing about things that don’t interest me. Usually, my ideas come from research on Google about topics that interest me. wow, what a wonderful place to get everything. This is simply fantastic. So many resources but so little time to go through all. what a great resource site! I am most happy to have come across this wonderful blog. As a 2-week old blogging infant, with a ton of ideas, a decent resource is exactly what I am in need of. Just launched my site, and must now get busy loading some quality content, widgets, etc. Like a new house, there are only curtains at the front windows. Thanking you in advance for the education. Lorelle, it would be nice to give the list an update, lots of links are going to 404 pages. Thanks. I just checked it a couple months ago and most of the links were still good. I’ll check it again. Thanks. it is amazing for all the users.it can develop our knowledge to some possibilities and it can help us to learn more when it comes to internet aspects. This is an awesome list. I was getting low on content and ideas but with this list I don’t think I have an excuse anymore. Thanks! Next to generating original content. Getting traffic to your blog is the hardest thing in the world. are you saying that I can just copy and paste something for example from cnn.com to my blog site? it could be an image or video or text? would this be legal? Isnt there any copy right issues? I am launching my blog soon but I dont know where I would get the infor for my blog. I’d appreciate your help. Thanks. If you think that is what I recommend in this blog post, think again, and read What Do You Do When Someone Steals Your Content. This article is about finding IDEAS not stealing other people’s content. OMG this is such valuable content for anyone, I have bookmarked your page and I am going to share this with everyone I know. Congratulations on this fantastic post. What a great collection of valuable references! I am a new blogger and I am really very very greatfull for your tips. Thanks a lot. That’s a great collection, i am new in the blogging industry and was having trouble finding what to write. I think i should get started!!! I am new blogger, and it’s pleasure for me to find this article. finally I know what I have to do to create a good and usefull content for my blog. When you get news content do you still have to rewrite it? If you are reporting the news, you MUST rewrite it in order to avoid duplicate content and copyright infringement. Not long ago, Reuters went after everyone regurgitating their news without offering an original voice. You don’t want to be in their kill zone, trust me. Wow- easily the most extensive list of resources I’ve found on finding blog content. Wow! This is so amazing….thank you so much for such a useful information. I bet you didn’t think people would still be commenting on your content after so many years later! I’ve just started blogging myself and was wondering how or where to get ideas from – then I pleasanly stumble onto this. Thanks once again, you are a gem! 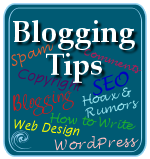 These are great blogging tips. Since I opened my own blog recently I could really use all the help I can get. So thanks! Odd place to leave such a comment without appearing spammy, but the point is, what is stopping you from making such a list? If your list is specific to traffic as a criteria, there are tons of sites that offer information on the highest traffic levels. Alexa is just one. A better list would be of sites that provide accurate and valuable information and helpful advice and tutorials so you could introduce your readers to valuable content rather than a list of sites based upon traffic. Ever seen some of the top watched videos on YouTube outside of celebrities? Some are complete time wasters and useless but people go bonkers over them. Traffic is not always an indication of value. Go digging through Google for related topics and keywords and start looking at the sites and finding ones worth sharing. They will thank you when you send them good people, and the people will thank you for sending them to great sites so they can learn more. WOW! thanks alot for the list and links, am planning to open a blog soon and i was a bit skeptical on where to find good and flowing content. That to you I have a good kick start and you spared me the energy on research. Some of these are very old. It’s a cumbersome document to update and took a very long time to create. I should, but life, the universe, and everything…only so much time in the day. 😀 Still, throughout my entire site I have relevant information and more timely information that will help. Thanks. Reblogged this on Ramsey Power. What a great collection of valuable references and content curation ideas. This is quite a remarkable list, Ian new to the blogging industry, with all of these site listed what are the copyright policies ? Can you just reconstruct their news and reference the links ? Any suggestions on how that is actually done ? Please advice …..
I’m not sure I understand what you are asking. If you could be more specific, I could be more helpful. Thanks. Thanks for your response I was trying to ask how to avoid violating copyright when using all of these website you listed like having a new from CNN for example and using same picture, however Creative Commons said something about making reference, need more understanding on how to reference them in other not to violate any law of copyright,please advice. A link is not copyrighted. You can link to anyone and anything. Screenshots for educational purposes are not copyrightable, and it is clear that this is not original content nor claiming to be original. See What Do You Do When Someone Steals Your Content for specifics. Thanks. Excellent. This post is no less than a canonical reference list for News Bloggers and online Journalists alike. I really hope you keep updating this for any additions/modifications of the sources. I’m not sure what you mean by these questions. Getting information and reprinting/copying and pasting/publishing the content as it if it were your own is a copyright violation. I discuss this thoroughly in this article. Using the information to support your own work such as quoting from the material (blockquote), or using it to craft your own ideas is not a copyright violation. Remember in school when they taught you that if you copied someone else’s work and took credit for it as your own, you were not only in trouble but likely kicked out of school as punishment. It is no different on the web. Build from not duplicate and you will be fine. Always put your energy into original content. Am very grateful sir for your response to my question. I have final created my blog it’s an entertainment blog. Pls Sir how can i give my home page a new look in blogger and how can I make all my post to show in my home page. I have about four post three post currently but it only one that is showing up in my home page? Pls Sir I need your advice. I’m sorry but I don’t know. You will have to ask someone who specializes in Blogspot/Blogger. I use WordPress and write about it here. It is used by the majority of people publishing on the web worldwide.